Warning: Do not read this if you are hungry. I just made that mistake and accidentally drooled on my desk. Pastry chef Hali Horn opened up retro dessert bar Mama’s Mudsliders in the West Village just a few months ago, and up until now it has been a go-to spot for all of your sweet-tooth cravings. Just to give you an idea: Brownie Sandwich with peanut butter ice cream (! 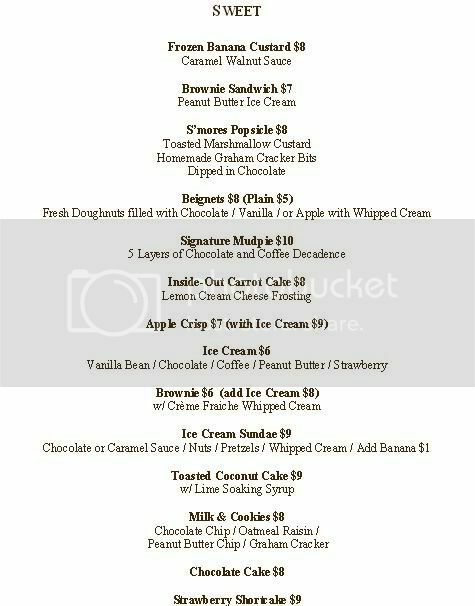 ), house-made sodas and Egg-creams, Frozen Banana Custard with caramel and walnuts, Butterscotch pudding, Apple Crisp with ice cream, and of course their signature Mudpie. As if that weren’t enough to make you salivate, Mama’s is now introducing a new savory menu with sandwiches and fries of equal drool-worthyness. A BLT with thick-cut Ottomanelli’s bacon and Garlic aioli, Homemade Chicken Salad on wheat bread, Grilled Cheese with Mountain Valley sharp cheddar and mozzarella, and of course the Elvis classic: Peanut Butter sandwich with bananas and honey (regular PB + J is also available). Sides include salad, cheese plates, and your choice of regular, spicy, or spicy cheese fries with assorted dipping sauces including Garlic aioli, Honey Balsamic and Bleu Cheese. 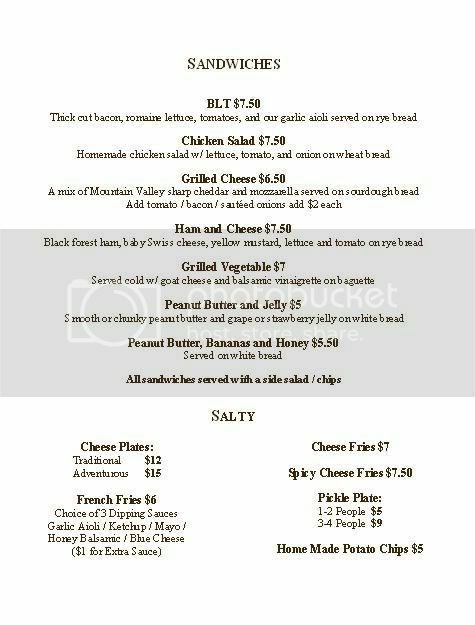 This new menu will be served all day; hours are Tues – Sat 11 am-midnight, Sundays 11 am-10 pm, closed Mondays. Someone get me a fork…and a spoon.